Video: CBNnews.com: Searching for Jesus. Video: Persuasive Writing for Marketing Executives. Video: Fox News: Robert Hutchinson. Article: Philly.com: Jesus' story: Gospel truth or myth? Robert J. Hutchinson is an award-winning travel writer and the author of numerous books of popular history, including The Dawn of Christianity (Thomas Nelson), Searching for Jesus: New Discoveries in the Quest for Jesus of Nazareth (Thomas Nelson), The Politically Incorrect Guide to the Bible, When in Rome: A Journal of Life in Vatican City and The Book of Vices: A Collection of Classic Immoral Tales. Raised in the Pacific Northwest, Hutchinson attended a Jesuit high school and university, earned an undergraduate degree in philosophy, moved to Israel to learn Hebrew, and earned a graduate degree in New Testament Studies. He writes primarily about recent developments in Biblical studies and archaeology, cultural conflicts in U.S. society, and philosophy. In his recent books, Hutchinson demonstrates that recent discoveries in archaeology and New Testament studies are challenging many of the older ideas about Jesus of Nazareth and early Christianity that have dominated academic scholarship for more than a century. He claims that these older ideas – for example, that Jesus believed the world would end in his lifetime or that he was really a violent revolutionary – have been largely set aside by top secular scholars working in the world’s best universities. Instead, Hutchinson says, the evidence increasingly shows that Jesus of Nazareth was very close to being just as the Gospels describe him: a fiery, courageous, charismatic populist who drew crowds by the tens of thousands and electrified all of Israel with his strange and exhilarating announcement of God’s kingdom in their midst. 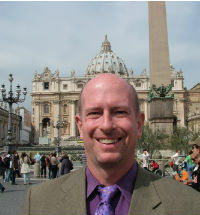 Hutchinson’s even-handed and fair approach to these scholarly controversies has been widely praised by both religious and secular experts, including N.T. Wright, Craig Evans, Rodney Stark, Darrell Bock, Michael Bird, James Tabor and James Crossley. In addition to his research on Jesus of Nazareth, Hutchinson claims that the unusual philosophical ideas found in the Bible provided the intellectual foundation for western civilization and the development of experimental science... and argues that much-maligned Biblical laws actually paved the way for limited government and the recognition of universal human rights. For the past 30 years, Hutchinson has worked as a full-time professional writer, contributing essays and syndicated columns to such conservative outlets as Fox News, Christianity Today and Human Events. An avid traveler, Hutchinson is also the former managing editor of Hawaii Magazine and the former Hawaii Bureau Chief for The Hollywood Reporter. He lectures on nonfiction writing techniques at business seminars and writing conferences in Europe and the United States. Hutchinson describes himself as “an enthusiastic if not very successful student of foreign languages,” and says he speaks a little Hebrew and French, beginning German and “ten words of Greek.” He lives with his wife and five children in a small seaside village on the west coast. "This entertaining book, setting its scenes with plenty of local color, demonstrates just how far the modern skepticism about Jesus has overreached itself. Questions remain, but Robert Hutchinson reminds us that we do not need to be browbeaten by those who say that only negative answers are available." "Robert Hutchinson's new book -- Searching for Jesus: New Discoveries in the Quest for Jesus of Nazareth --is a significant and very welcomed contribution to the discussion about the 'Historical Jesus.' In his book, Hutchinson reviews recent archaeological finds and new directions in New Testament scholarship that challenge some of the older theories. He does it with great clarity and in a lively and intriguing way." 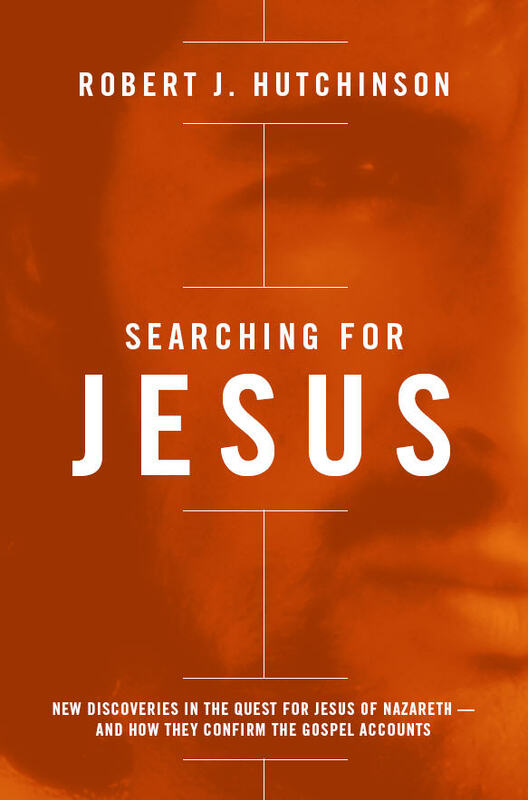 "Searching for Jesus is an excellent, informed, up-to-date review of biblical research presented in clear, engaging prose for the average reader. Robert Hutchinson shows how recent historical and archaeological investigations have overturned many of the bias-laden and unverified conclusions of biblical scholarship in the past century. I highly recommend Searching for Jesus to anyone who is seeking the truth--about Jesus of Nazareth and about the historical accuracy of the Gospels." - Mark D. Roberts, Ph.D., author of Can We Trust the Gospels? "For most of those involved in the modern 'search for the historic Jesus,' it was really a search to debunk the Biblical Jesus. But, as Robert Hutchinson demonstrates in this charming book, their efforts were not up to that task -- the 'new' evidence turns out to be more compatible with the Biblical account." "Searching for Jesus offers the reader a readable and accessible overview to the complex field of biblical studies, archaeology, and history related to the life of Jesus. Although I do not share many of the presuppositions or conclusions of Hutchinson, he does attempt to navigate the minefield of disputes, discoveries, and controversies in the field of Jesus studies and offers, particularly in his extensive notes, a useful introductory guide for general readers who wonder what is the latest in historical Jesus research." "Searching for Jesus manages to combine some of the latest (and often technical) scholarly research with a highly readable and accessible style—no mean feat! All of this is infused with relevant anecdotes which make the book a pleasure to read. Hutchinson’s book is an ideal for anyone wanting to discover the controversies surrounding the historical figure of Jesus and will hopefully make more people realize why this is such a fascinating area of research." "Robert Hutchinson's Searching for Jesus reviews the evidence, the theories, and the proposals in an informed and engaging way. Students and veteran scholars alike will profit from reading this well written book. And don't skip the footnotes; they are a trove of famous quotations from primary and secondary literature." – Michael F. Bird, Ph.D., Lecturer in Theology at Ridley College, Melbourne, Australia. 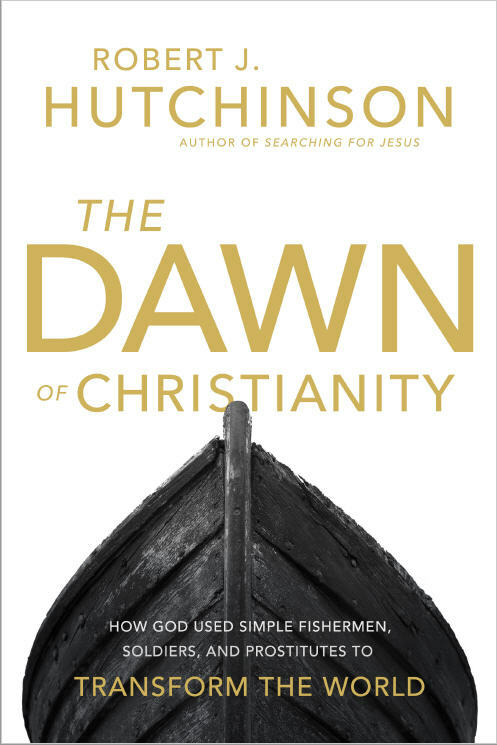 "The Dawn of Christianity is a fascinating look at the early days of the Jesus movement that became the church -- from Jesus through the early days of the church. Shunning a skeptical read of this material, Robert Hutchinson works his way through the events and disputes that circulate around the origins of the Christian movement. It is a worthwhile journey with a capable guide that richly repays the reader." "Jesus was to be a 'sign of contradiction,' as Simeon prophesied in the Temple when Jesus was just an infant. History and now Robert J. Hutchinson's latest book, The Dawn of Christianity, continue to bear this out. It's amazing that so many books have been written about Jesus and yet there is still room for this one. The Dawn of Christianity will enlighten and delight those who love Jesus and maybe rile and more deeply engage those who oppose him. Absolutely worth reading more than once!" "Biblical historian Robert Hutchinson (Searching for Jesus) draws on personal knowledge of the Holy Land as well as historical sources to craft a 'narrative retelling of the founding' of Christianity, as documented by the New Testament and complementary secondary sources. Like a biography, the book paints a convincing portrait of Jesus. Architectural and archaeological details--about the Temple Mount, for instance--allow for vivid recreated scenes... [T]he additional information about early martyrdoms and the Council of Jerusalem is fascinating, and the endnotes (a timeline, a chart of who's who in the Holy Land, and extensive notes) are invaluable. The hybrid style isn't unequivocally successful, but the book inspires fresh wonder at how quickly this new religion took off."